On the 5th (Fri), shop like a local with Le Marais, head off the coast to Île de la Cité, and then explore the world behind art at Louvre Museum. Get ready for a full day of sightseeing on the 6th (Sat): examine the collection at Musee d'Orsay, appreciate the history behind Arc de Triomphe, and then shop like a local with Champs-Elysees. To see other places to visit, where to stay, traveler tips, and other tourist information, you can read our Paris trip maker tool . If you are flying in from Singapore, the closest major airports are Paris-Orly Airport, Charles de Gaulle International Airport and Paris Beauvais Tillé Airport. 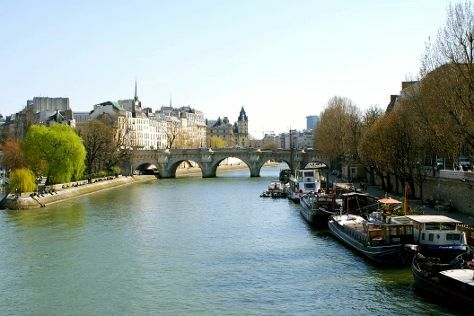 October in Paris sees daily highs of 19°C and lows of 10°C at night. Finish your sightseeing early on the 6th (Sat) so you can travel back home.